Questions? Call our Guest Services Helpline! "Thanks for setting us up at the Courtyard in Napa Valley! Great location and great rooms!" Exclusive Getaway Vacations was founded on the principle that it shouldn't cost a lot to just get away from the grind for a few days! In the past, most people took long yearly vacations each year - now, many people are starting to take several, smaller vacations each year, spreading the enjoyment evenly throughout the entire year! 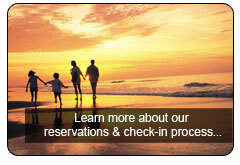 We have designed our packages to include everything you need to enjoy a relaxing getaway vacation. Whether you're looking for a romantic weekend getaway with your spouse, or want to indulge in some sun and fun with the family, we've got the perfect package for you! 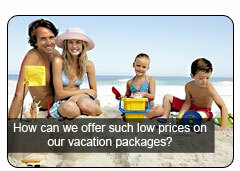 With decades of combined experience in the vacation and travel industry, Exclusive Getaway Vacations is dedicated to providing the finest customer service, the best selection of high-value, low-priced accommodations, and very simply, the best prices around on getaway vacation packages! If there is anything we can do to assist with your vacation planning, or any questions we may answer whatsoever, feel free to contact one of our friendly customer service operators!